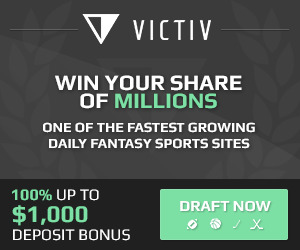 Welcome to the RotoPicks daily fantasy site reviews page! Here we present you with a condensed version of all the pertinent information that you need to choose which daily fantasy sports site suits your needs! Not all of these sites are created equal! Signup bonuses and game offerings differ at each website. More importantly, player salaries can be night and day. We recommend signing up for multiple accounts so that you can take advantage of the value that one site may have over another with regards to the salary cap. Have questions? Drop us a line at rotopicks@hotmail.com and we'll gladly help you out!